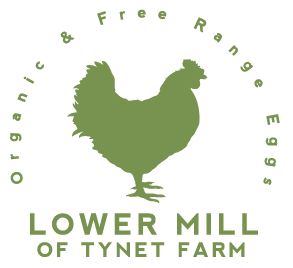 Lower Mill of Tynet is a family farm in Moray run by Gordon and June Whiteford producing award-winning brown and white free range and organic free range eggs. Our hens are cared for to the highest welfare standards. They are given the freedom to roam in our rich pastures and this results in delicious eggs packed fresh on our farm. To buy our eggs come to the farm to use our vending machine, find a local stockist or get in touch with Gordon on 07919 443336. Our philosophy is simple, we put our hens’ welfare first at all times by ensuring the highest standards of hygiene and care. We make sure they have plenty freedom and space to roam so they are happy free-range hens.